Offers debit and credit card processing services to businesses such as retailers, restaurants, hotels and wireless merchants. BNG Team is a business solutions company that provides SMBs with merchant service solutions to ultimately improve business. These services include credit card processing, point-of-sale systems, premium website development, digital marketing services, and payment software's that improve accounting practices. 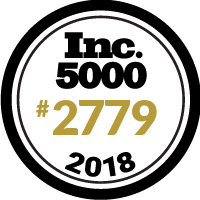 We are so grateful to be on the Inc. 5000 list for another year! 4 years and running, it only gets better from here!